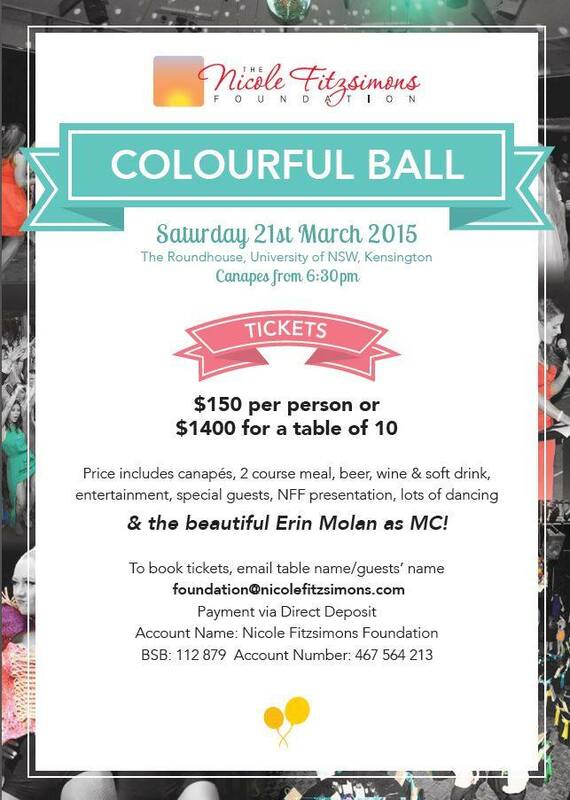 We are excited to announce NFF’s next SYDNEY COLOURFUL BALL Fundraiser on Saturday 21st March 2015!!! Get ready for a night of laughs, live entertainment, raffles, silent auctions and of course tearing up the dance floor in honour of what Nicker’s loved most! We also have a special early bird price for those who get in quick! Official details below..
TICKETS: $150 per person or $1400 for table of 10. Price includes canapés, 2 course meal, beer, wine and soft drink, entertainment, special guests, foundation presentation and plenty of dancing!